Hapus Labs is a small initiative to develop really cool and innovative mobile or web applications that solves real world problems. Fun begins here..
HashTweet (#Tweet) is an innovative twitter client that allows you to quickly browse through your tweets on the go. It organizes your tweets under different categories. 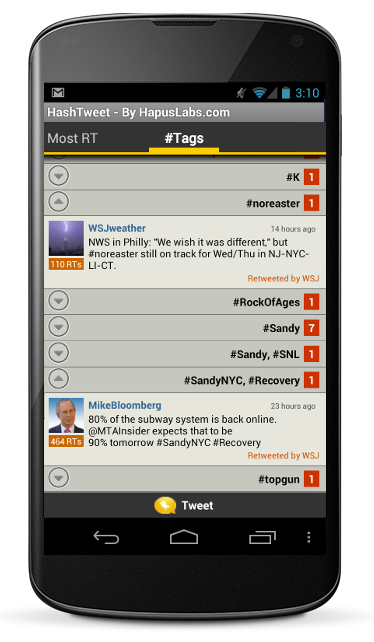 So you can browse your tweets grouped by Hash Tags, person name or retweet count with a very cool UI.